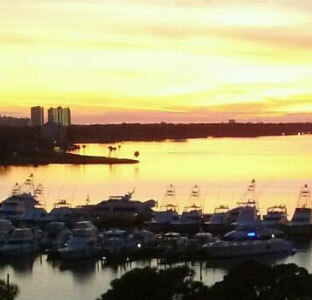 This policy applies only to the web site located at www.baytownewharf.com, and not to any other web site or service. If you do not agree with this policy, then you should not use the Site. Baytowne Wharf may collect and store personally identifiable information about you if you voluntarily submit such information to Baytowne Wharf. Personally identifiable information may include your name, email address, physical address and other information that specifically identifies you. Baytowne Wharf may also automatically collect (through cookies, described below, and other methods) and store aggregate or anonymous information about user contact with and use of the Site. Examples of this type of information include demographic information, the type of internet browser you are using, the type of computer operating system application software and peripherals you are using, the domain name of the web site from which you linked to our Site and your browsing habits on and usage of the Site. Non-Personally identifiable information may also include personally identifiable information that has been aggregated so that no one individual is specifically identifiable (such as, how many users in a particular city access the Site). Baytowne Wharf will only use your personally identifiable information as described in this policy. When you register on our web site, Baytowne Wharf may use the personally identifiable information we collect to contact you about our products and services or those of our clients or other third parties from time to time. Except for the parties described below, we do not sell or share your personally identifiable information with third parties without your consent. We may share your personally identifiable information with our clients (if they have agreed to comply with privacy protections similar to those set forth in this policy), companies that are affiliates of Baytowne Wharf, technical consultants and other third parties who make our Site available, enhance its functionality, or provide associated services (but only for the purpose of providing such services to Baytowne Wharf). We also reserve the right to access and/or disclose any information as required by courts or administrative agencies and to the extent necessary to permit us to investigate suspected fraud, harassment or other violations of any law, rule or regulation, the Site rules or policies, or the rights of third parties or to investigate any suspected conduct which Baytowne Wharf deems improper. The Site may contain links to web sites maintained by third parties. Baytowne Wharf is not responsible for the privacy practices of such third party sites. You should carefully read their own privacy policies before providing any information to such third parties. You have the option to opt out of receiving information from Baytowne Wharf. This opt out messaging will appear at the bottom of every promotional email that is sent out to you by Baytowne Wharf in relation to this Site. Baytowne Wharf also gives you the option to remove your information from its database of active users. 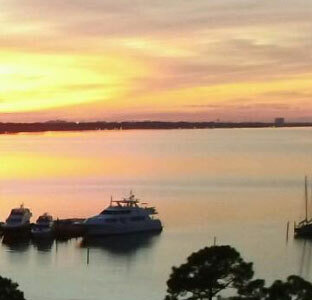 If you no longer wish to take advantage of this Site or to receive any form of direct contact from Baytowne Wharf, whether it is email, discounts, newsletters, or other promotional offers or materials, or wish us to delete your personally identifiable information from our database of active users, send us a request marked "Privacy, Urgent" address as follows: contact@edge4.com. However, Baytowne Wharf is not responsible for removing information from third party lists or databases of any kind if we have shared your information with such third parties as permitted by this policy. In order to ensure that the information we maintain is accurate, Baytowne Wharf gives users the option to change or modify their information previously provided. If you would like to change your information currently in our database, please contact us at contact@baytownewharf.com. 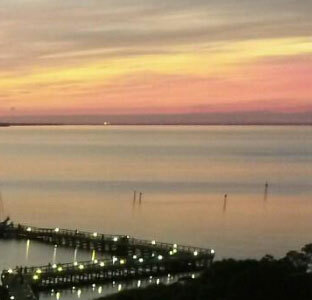 Baytowne Wharf is not responsible for updating information contained in third party lists or databases. This Site is not intended for users under the age of 13, and we have no intention of collecting personally identifiable information from children (i.e., individuals under the age of 13). If a parent or guardian learns that a child has provided us with personally identifiable information, that child's parent or guardian should send us a request marked "Privacy, Urgent" to contact@baytownewharf.com if they would like the information submitted by the child deleted from our database. We will use all reasonable efforts to delete such information from our database.